My Name Elisabeth Stava and I am currently working in Côte D’Ivoire thorough the opportunity I got with AIESEC. I decided to go on an AIESEC exchange because I wanted the chance to live and work professionally in another country, at the same time as learning a new language. I ended up deciding to go to Ivory Coast due to the interesting internship I found there, working as Business Development Manager in a company that offers young Ivorians the service and opportunity to study abroad. I landed in Abidjan late at night and I was picked up by the local AIESECers. I remember the drive to my new home, trying to speak French and also soaking in my first impressions of the city. As we drove over the bridge entering Abidjan, I was struck by all the signs and tall buildings and I was quite impressed by Plateaux, the entry point to the city (as shown above in the picture). Although I was feeling tired, I increasingly got excited to explore and discover the city by day. I can say that my first month in Ivory Coast was mostly filled with new impressions, getting to know new people and adjusting to the new culture. The main challenge I faced was the language as my French was quite limited upon arrival. However, with a job that was mostly conducted in French along with friends from AIESEC practicing it with me, I had a steep learning curve. At the same time as it was tiring and challenging learning a new language, I have also had many moments of joy when being able to communicate and realizing my progress. Simply going from not knowing how to greet people to now being able to have conversations and discussions with others has given me great confidence and a thrilling feeling. Learning a new language has also been interesting as I realize it is not only about learning a new vocabulary, but in fact obtaining a new understanding and way to see the world. By speaking French I have in fact started to see the world differently and express myself differently than what I do in Norwegian and English. It is a really exciting change and discovery! Working in a small company where I have been given the liberty to shape some of my work tasks has been an interesting experience. As my company work for young people that want to study abroad, I have had the chance to interact with young Ivoiriens from all over the country. It has been fun to see them develop themselves as we prepare them for a new life abroad. When most students arrive in our office and want to study abroad they are shy and insecure, but as they get more knowledge, skills and practice, they become ready to embark on new adventures, not so different from my current experience. What I have appreciated a lot is my manager and my colleagues doing their best to welcome me and making me feel comfortable. At least one day a week our manager takes me and my colleagues out to eat and have a couple of beers together. As I am the only woman at the office I have also learnt a lot and had interesting discussion about the role of women and men in the society. After my short period here I believe that Ivory Coast and Norway are quite different culturally, hence, I have been challenged, I have challenged perceptions back and learnt a lot along the way! In addition to a lot of work, I have also had the opportunity to travel quite a bit. I love the beach and have tried my best to visit different places along the coast as much as possible. Ivory Coast has a beautiful nature and it has been great getting out of the big and busy Abidjan to just enjoy the simple life with new friends. 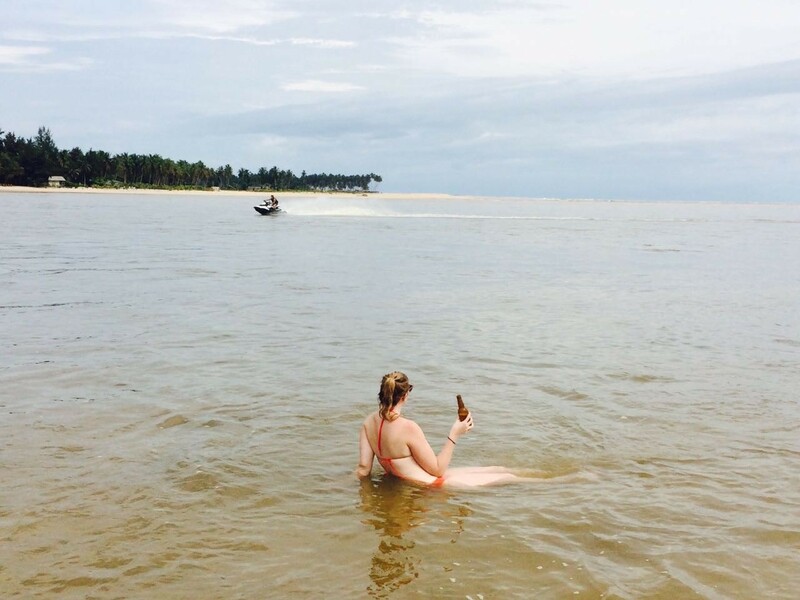 Below is a picture from Assinie, one favorite spot for enjoying the beach life. With many small restaurants serving all kinds of sea food and other delicacies it is the perfect place to hang-out and relax! 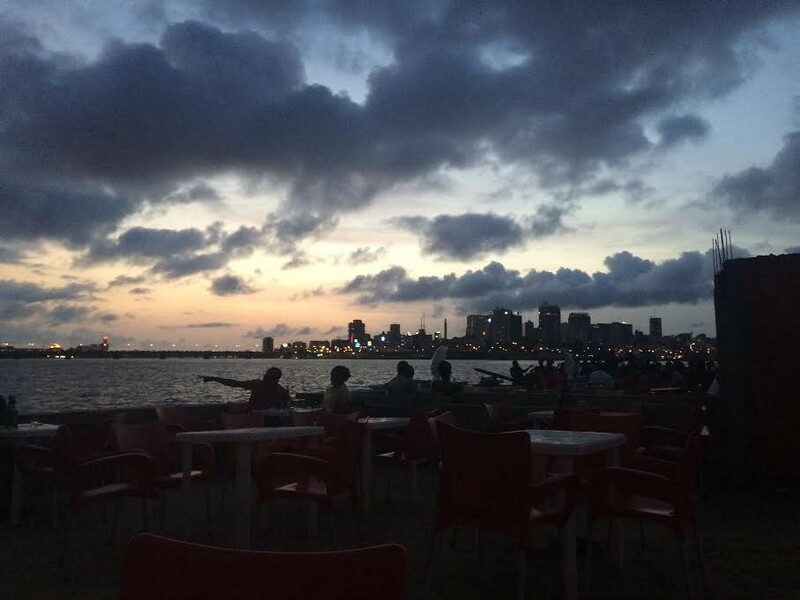 During my first 3 months in Ivory Coast I have also had the chance to taste new food and drinks, an exciting part of experiencing a new country! I have adjusted to the variety of different spices that are used and I really love so much of the different food that I eat here. 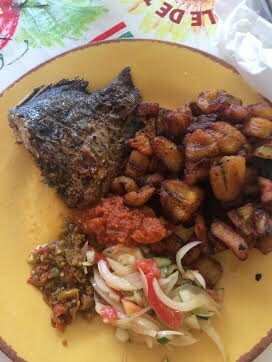 My favorite must be Alloco (fried plantain) along with grilled fish and the spicy sauce that is a must for all meals. 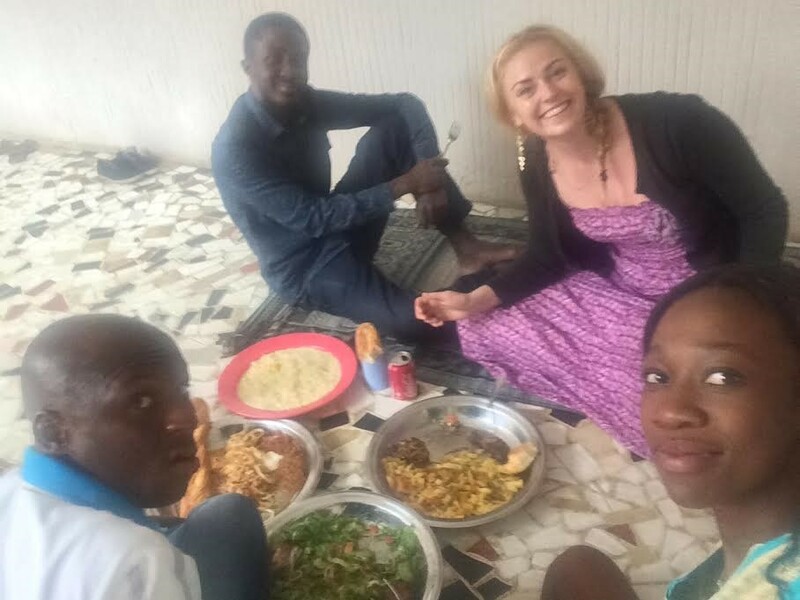 Food is important in Côte D’Ivoire and by being open to try all different kinds of new food, I have both gained insight in the culture as well as gained and new friendships. One great way to get to know a new place and culture is to participate in different events and ceremonies. I have been lucky enough in my first 3 months to have celebrated 3 birthdays (in an apartment, in a venue and on the beach), I have attended a traditional Ivorian wedding, participated in the Muslim Holiday Tabaski (Eid al-Adha), gone to Catholic Mass ceremony and celebrated a friend and her son’s baptism. In all the different and diverse events I have discovered new traditions and customs that are important for the Ivoiriens. It has been a great way to get to know people better and to learn more about life here in Côte D’Ivoire! My experience in Ivory Coast has so far been a journey filled with joy, laughter, challenges, adventures and personal development. I feel privileged and lucky to have met so many amazing individuals that really has made my stay worthwhile. With all the challenges I have encountered I feel that I have developed and grown as a person and with all the good moments I have made memories for life. I can only recommend every single person to live and work abroad. Although every experience and country is different, what is certain is that no matter where you go, you will be challenged, you will learn and you will develop yourself. For me in the end, that is what life is all about! Amazing experiences like this is one just one click away! Develop yourself through an internship abroad with AIESEC.